I have been making my mexican three layered dip forever. Cream cheese on the bottom, chili in the middle, and shredded cheddar cheese on top. Its simple and easy! I blogged about it here. Someone asked me if it was the easiest dip that I had ever made. I thought it was, until I made this dip today. This dip has only TWO ingredients in it. Beat that! All you have to do is simply mix the ingredients together and heat it for 5 minutes. This dip is definitely going to be my new go to recipe, and I am sure my friends will not be disappointed. I added some chili powder and red pepper flakes for an extra kick. If you happen to not like spicy food or you don't have any spices on hand, this dip would taste delish just with chili and cheese on its own. Place chili and cream cheese in a microwave safe bowl. Microwave for 3 minutes. this looks delicious! 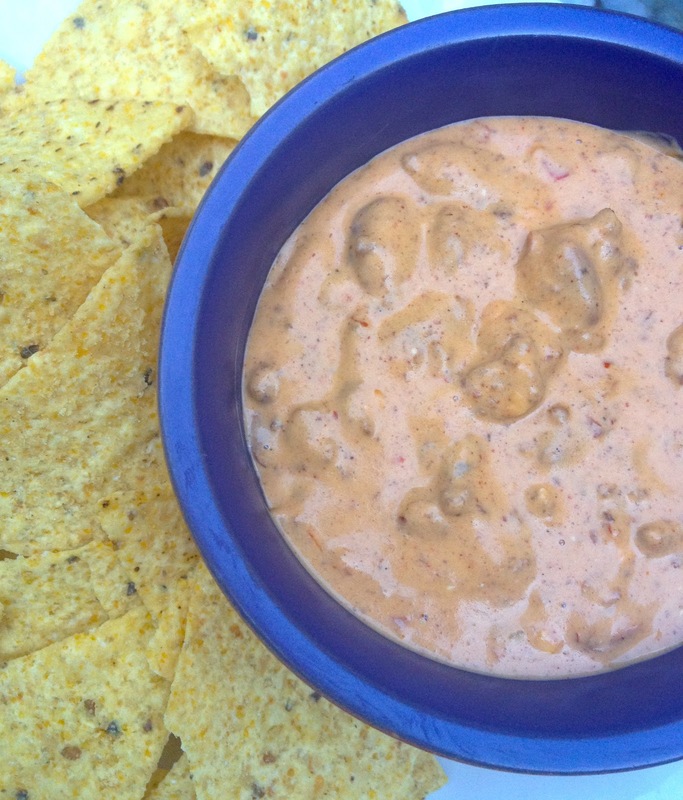 Love that it is so simple, I make the layered chili dip too, but next time I will just have to try this one out! Nice dip! We always can use a new dip recipe! Especially with fall TV coming up! heya, lauren! i nominated you for an award (or two!) on my blog today! OMG! I've grown up on this dip, well at family gatherings LOL Thanks for sharing this is soooooo yummy!! I am a Mexican food lover. I love tacos, enchiladas, nachos, burritos and most salsas I've tried. I'd like to share a few Mexican dip recipes that we've used as appetizers when we have guests over. This zesty dip is great to serve at parties and gatherings. In a medium serving bowl, combine the cream cheese, sour cream and the green onions. Top with salsa and layer with tomatoes, black olives and cheese.